© Dilip Bhatia, India. 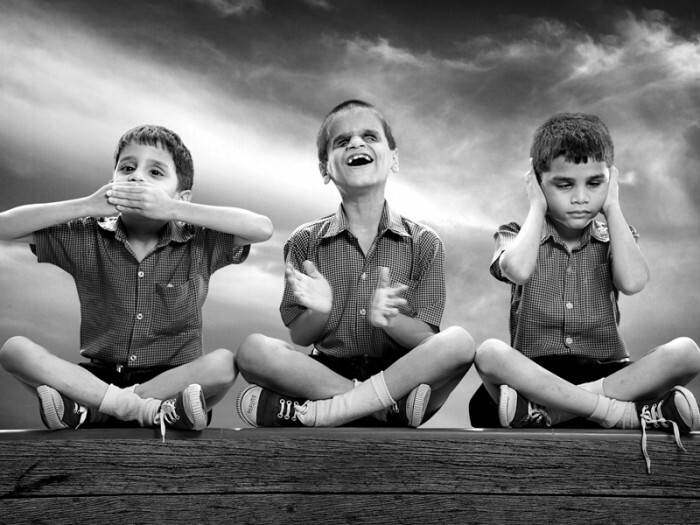 From his series Happy Home & School for the Blind. Dilip was the first profesional photographer to be awarded by The Gala Awards in 2009 with this documentary series. Since then, TGA has provided juried competitions for professionals and amateur photographers from around the world to compete in five awards and selected thematic contests offering artists opportunities for awards and competitions. The four Awards are the Pollux Award, The Jacob Riis Editorial and Documentary Award; The Julia Margaret Cameron Award for women photographers, the Charles Dodgson Black & White Award, and the Robert Cornelius Portraits Award. The Gala Awards also organize thematic competitions, such as The Urban & Rural Landscape Competition, and the Street Photography Competition. TGA hosts the above mentioned Awards to honor talented photographers and as a means of establishing and maintaining a continuing effort to help them further their careers, promoting appraisal towards contemporary photography. TGA recognize artists’ talent through competitions juried by industry leaders, exposing their work in the media, publishing their work, hosting collective exhibitions, and by exhibiting their work on line and in the Biennial of Fine Ar and Documentary Photography. Starting 2010 TGA hosted The Biennial of Fine Art and Documentary Photography. The first edition was held in Madrid at the Circle of Fine Arts, the 2nd edition in Buenos Aires, 2012, at the Borges Cultural Center, the 3rd edition was held on September through November 2014 at the Heritage Museum of Malaga exhibiting 520 artworks of 162 photographers from 25 countries. The 4th edition was held in Berlin, as part of the European Month pf Photography during October 2016. In this last edition there was a participation of 440 artists from 44 countries, and Steve McCurry was the special invitee with a Retrospective: Asia, a Life in Pictures. The 5th edition will be held on October 2018, either in Prague or Barcelona. Starting September 2017, TGA will organize collective exhibitions in Barcelona exhibiting the winning images of each competition and award. In these years we had many satisfactions promoting photographers, but have also learned several lessons from our own mistakes, knowing that the only real mistakes are those from which we learn nothing. And we're gaining experience to improve, because as Oscar Wilde said, 'Experience is simply the name we give our mistakes. TGA thanks the many jurors that have performed the difficult task of selecting 'winning' images. To name just a few that have cooperated with TGA since 2009: the photographers Mary Ellen Mark, Chris Steel-Perkins, Alessandra Sanguinetti, Olivia Arthur, Kim Weston, Vanessa Winship, Per Valentin and Steve McCurry; the publishers Susan Zadeh, Stephen Perloff and Tim Anderson; the curators Philip Brookman, Carol McCusker and Julio Hirsch-Hardy; the gallerists Laura Noble and Alexander Scholtz; the photo editors Amber Terranova and Larry Padgett, and many other that cooperated with TGA in the different awards and competitions.